The problem with the Civis study blaming Clinton's Wisconsin loss on a Voter ID law. 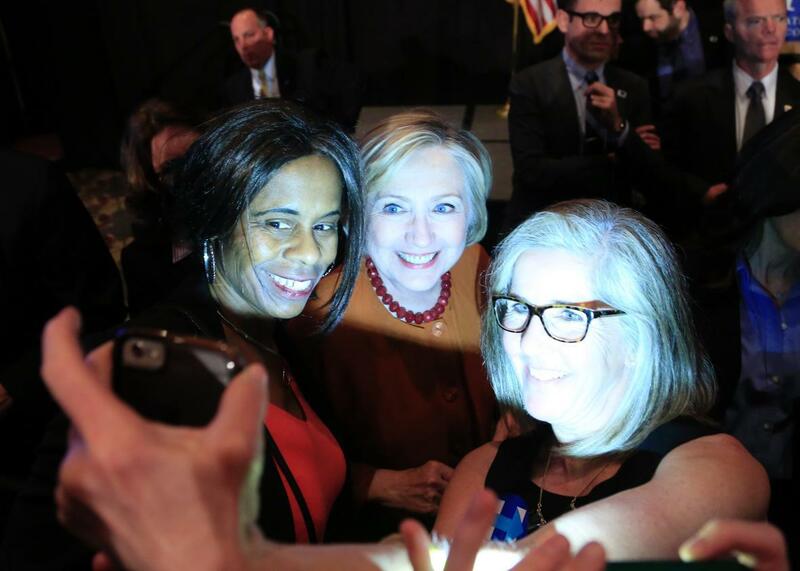 Hillary Clinton greets guest after speaking at the Founders Day Dinner on April 2, 2016, in Milwaukee. Six months after Election Day, pollsters, Democrats, and much of the press are still trying to figure out what went wrong. How did Donald Trump outperform the polls in enough swing states to swipe an electoral victory Hillary Clinton appeared to have safely in hand? On Tuesday, the Nation offered the latest theory in a never-ending string of them, this one focused on what was by some metrics the single biggest surprise of the election: Trump’s victory in Wisconsin, where he trailed in polls by an average of 6.5 points ahead of Nov. 8. According to new research conducted by data science firm Civis Analytics for liberal super PAC Priorities USA, strict voter ID laws significantly depressed the turnout of black and Democratic-leaning voters in a number of states, chief among them the Badger State. “Wisconsin’s voter-ID law reduced turnout by 200,000 votes, according to the new analysis,” wrote the Nation’s Ari Berman. “Donald Trump won the state by only 22,748 votes.” The unstated but implicit conclusion here is that Hillary Clinton would have claimed Wisconsin’s 10 electoral votes if it weren’t for a state law requiring residents to present a driver’s license or another form of government-issued ID to cast a nonprovisional ballot. While Berman was careful to offer the necessary caveats—the study was conducted by progressives with a partisan interest, the analysis has not been peer-reviewed, etc.—such nuance didn’t make its way to social media. Most political scientists agree voter ID laws make it more difficult for some voters to cast a ballot on Election Day. There’s a lot more debate, however, over how much of an impact those laws have on turnout. But in the meantime, liberals should think twice about overstating the conclusions of a relatively superficial analysis like his one. Doing so risks shifting attention away from the reality that Republicans wrote these laws with the goal of disenfranchising minorities and other traditionally Democratic voters. That effort doesn’t have to swing an election for it to be shameful.